A judge in Pennsylvania makes a damning case against the state’s restrictive voter ID law. Judge Bernard McGinley of the Commonwealth Court of Pennsylvania ruled against the state’s strict voter ID law today following a lengthy trial last summer. The law had been temporarily blocked since last October pending a full trial. The ruling is a big win for voting rights and a clear setback for voter ID supporters. Judge McGinley found that the law violated the state constitution because hundreds of thousands of registered voters lacked the restrictive forms of ID required by the state, few had obtained the requisite ID since the law’s passage in March 2012, the state had not made it easy to get an ID and there was no evidence of in-person voter fraud to justify the burdens of the law. Noted McGinley: “In contrast to the hundreds of thousands who lack compliant photo ID, only 17,000 photo IDs for voting purposes have been issued.” Since the 2012 election, fewer than 150 new voting IDs had been issued by the state per month. That’s because getting a voter ID in Pennsylvania was a bureaucratic nightmare. There are 9,300 polling places in the state, but only seventy-one DMV offices. 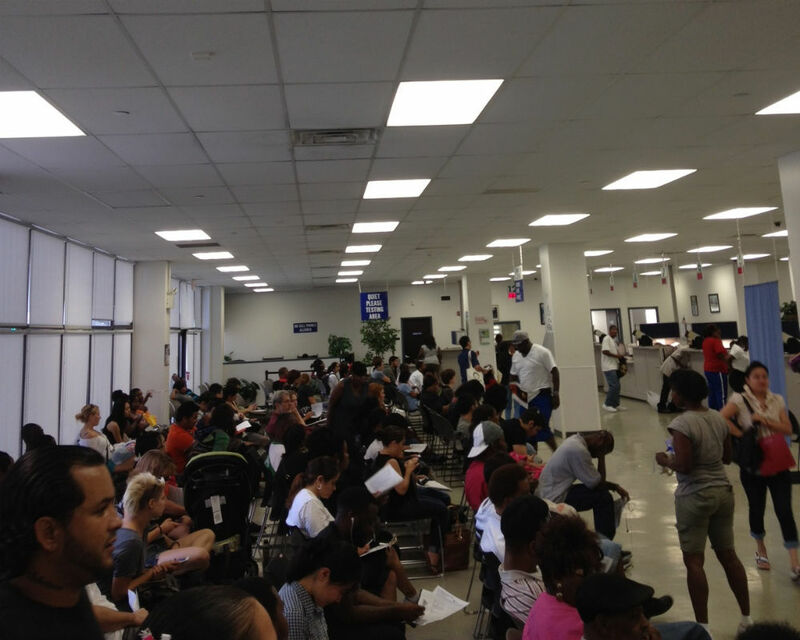 There are only five DMV offices for the entire city of Philadelphia, none in nine counties and the in sixteen counties offices are only open one or two days a week . “The Voter ID Law does not contain, on its face, any valid non-burdensome means of providing compliant photo ID to qualified electors,” McGinley wrote. “Accordingly, the Voter ID Law is facially unconstitutional.” The lead plaintiff in the case, Viviette Applewhite, was a 93-year-old great-great grandmother who marched with Martin Luther King Jr. and had voted in every election for the past fifty years but did not have a driver’s license and was at risk of being disenfranchised by the new law. As I’ve written before, the devil is in the details when it comes to voter ID laws and other sophisticated, restrictive voting measures being introduced today. McGinley’s ruling “dispelled the myth that voter ID is commonplace and that everyone who needs an ID has one,” said Michael Rubin, an attorney with Arnold & Porter who argued against the law. Pennsylvania became a case study for the problems with voter ID laws. “The Voter ID Law as written suggests a legislative disconnect from reality,” McGinley wrote.